The stock options scandal currently troubling Apple now appears to have spread to animation company Pixar , with CEO Steve Jobs and the chief creative officer at Pixar, John Lasseter, both implicated. 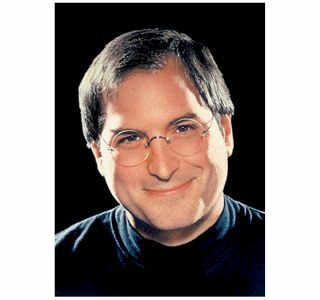 US financial paper the Wall Street Journal is alleging that Lasseter received one million shares from Steve Jobs in March 2001 when he was CEO of Pixar. The shares were backdated to December 2000 when Pixar's own stocks were at its lowest. This effectively gave John Lasseter a golden hello of $6.4 million, before he'd even collected his first pay packet. However although Steve Jobs signature is on John Lasseter's contract, it's not clear that he would have known about the back-dating of the stocks at the time the deal was signed. The news comes on top of stock options problems at Steve Jobs' other company Apple. US government investigators are currently examing the back dating of shares there by several Apple executives. The company has been theatened with delisting by Nasdaq . However it's unclear again whether Jobs had any direct involvement in the deals. John Lasseter has scored some notable successes at Pixar, directing Toy Story, Toy Story 2 and Cars. Pixar is now a subsidiary of Disney . Steve Jobs now sits on Disney's board and is the animation company's single largest individual shareholder.